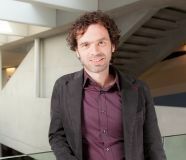 Paolo Pinotti is Assistant Professor in Economics at the Department of Policy Analysis and Public Management of Bocconi University, the Coordinator of Fondazione Rodolfo Debenedetti, and a Senior Researcher at the Institute for Research on Evaluating Public Policies (IRVAPP). He is also a Fellow of the Paolo Baffi Center, where he coordinates the research unit CLEAN on the economic analysis of crime, and a Research Affiliate at CEPR, the Dondena Center for Research on Social Dynamics, and the Laboratory for Effective Anti-Poverty Policies (LEAP). In 2013 he was awarded the Franco Modigliani Fellowship by Unicredit & Universities Foundation. He is mainly interested in applied econometrics, immigration, economics of crime, and political economy. On these topics, he has published in the American Economic Review, AEJ: Applied Economics, Economic Journal, Journal of International Economics, Journal of the European Economic Association, and Review of Economics and Statistics. In 2016 he was awarded the AEJ: Applied Economics Best Paper Prize by the American Economic Association. He is Associated Editor of the Journal of the European Economic Association and the International Review of Law and Economics. Before joining Bocconi, he got a Ph.D. in economics from Universitat Pompeu Fabra in 2009 and he worked at the research department of the Bank of Italy from 2007 to 2011. Paolo joined CReAM as an external research fellow in October 2016.